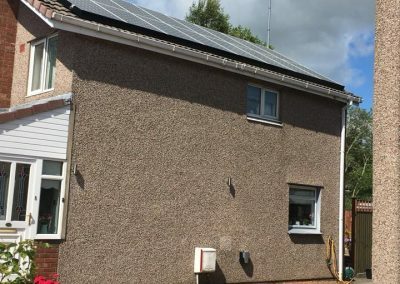 By installing our solar PV panels you can expect to save around money, we are confident even in Scottish weather that you will see a reduction in energy bills. 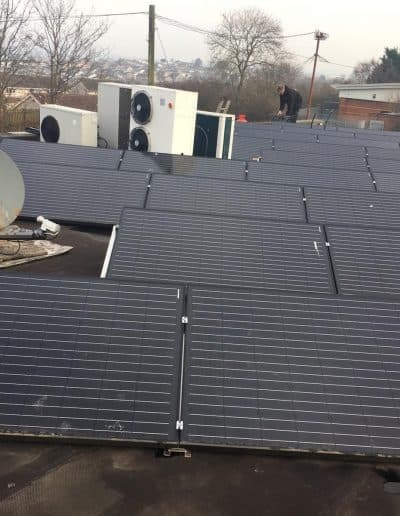 Solar panels will save you money on your energy bills you can also earn money from a feed-in tariff scheme for producing your own electricity. Scottish Households can expect a return on investment within 14 years and make a 4.8% return I over 20 years if well maintained. The renewable heat incentive (RHI) comes into force this will pay you for energy produced from solar panels. Solar panels give you a far better value for money heating solution. The UK despite the sometimes rather miserable weather receives plenty of solar energy if you have the right equipment in good condition to catch all the heat. 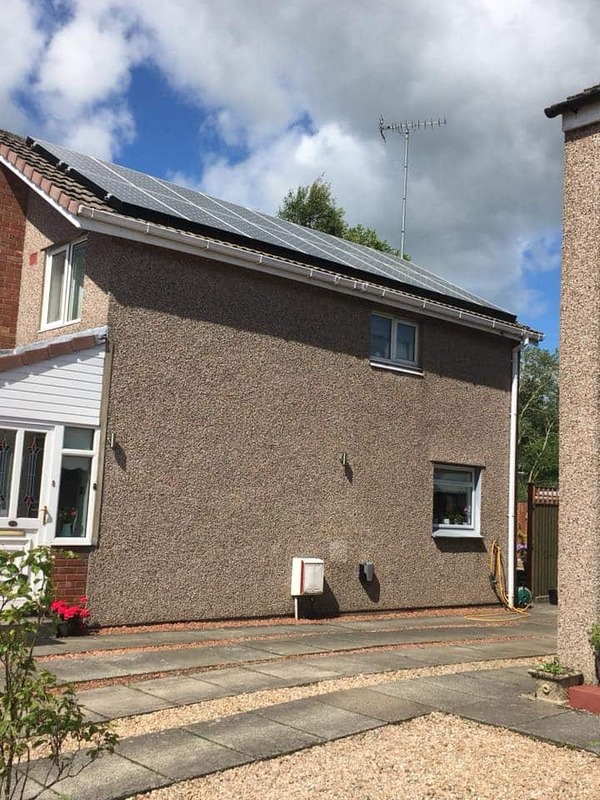 Solar PV panels and be installed in your home in Glasgow or across Scotland and still produce lots of heat to make a saving while you heat your home. In Glasgow’s low light, solar panels can still manage to produce electricity although obviously, it would work better in the outback!. Research shows that the solar irradiance in the UK and Scotland is not too dissimilar to Germany and other European nations. An average of 2 to 3 hours of energy generating sunlight each day over the period of a year is enough to handle the energy demands of any small family household. Solar PV panels work equally on a cold day as Solar PV panels work on light not heat so the Scottish weather will still produce energy. On a cloudy day, well maintained high-quality panels will generate heat even through the cloud. We repair all solar panels to the standard of a new panel or we replace them with a matching panel that will work better for you (only if we can’t repair to a reasonable level.) 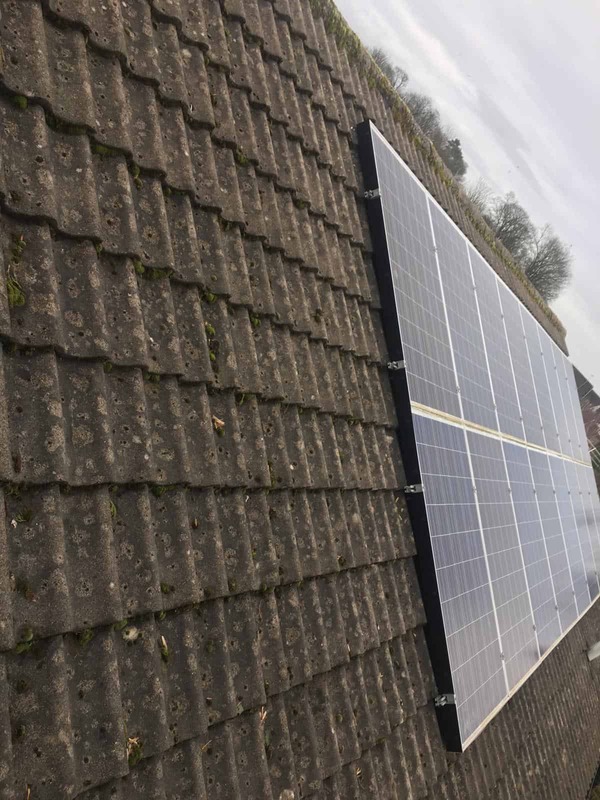 Maintenance of solar panels can end up an expensive process if the repair work required is not diagnosed properly during the initial inspection. Collins Roofing & Solar Solutions always complete rigorous tests to fault find exactly what needs to be repaired on your solar panels before starting any repair work. 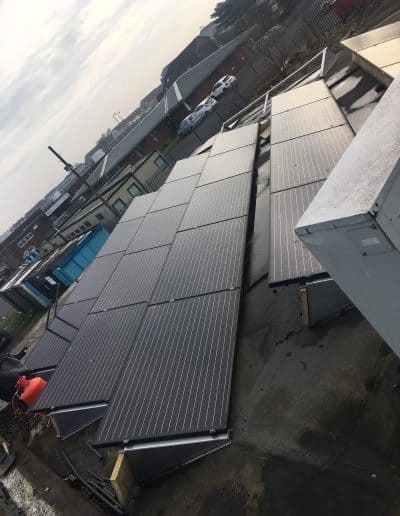 If you have had your panels installed by us you will know our number and can get a hold of us 7 days a week on 0141 473 4757. For new customers please feel free to call or complete our short contact form. It is incredibly common for birds to nest on solar panels. 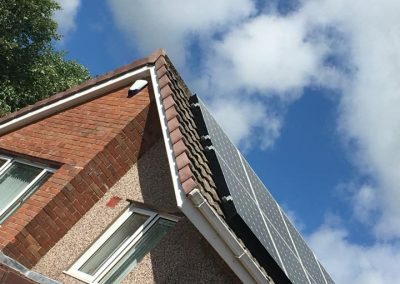 Scotland is home to a large population of birds and they have caused problems for people with solar panels all of our solar installations includes bird proofing. If you already have a solar panel and need it bird proofed then get in touch. 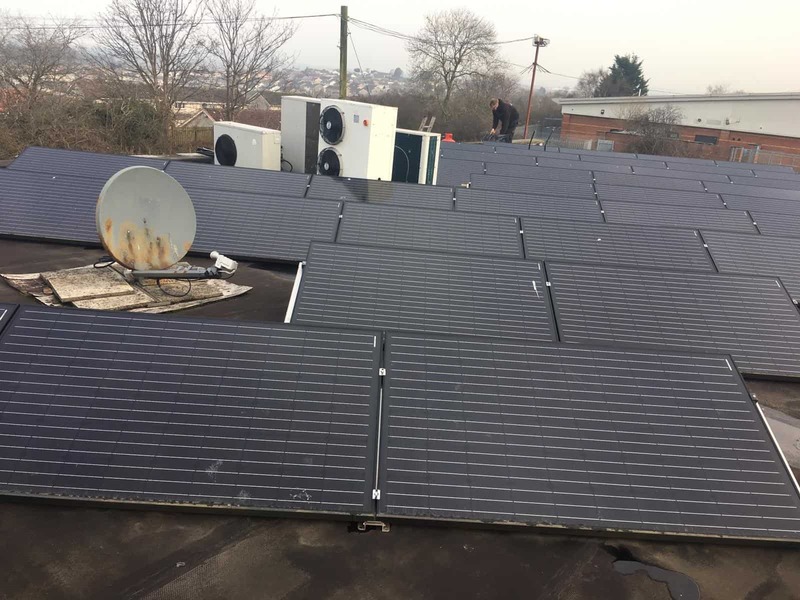 Solar panel bird proofing is an area of roofing and solar we are well practised in, we are extremely efficient in making sure the bird proofing is made to last from the very first installation. If you do your research you will come across many blogs and other online articles where solar panel bird proofing has been installed that has not solved the problem due to poor installation or materials. 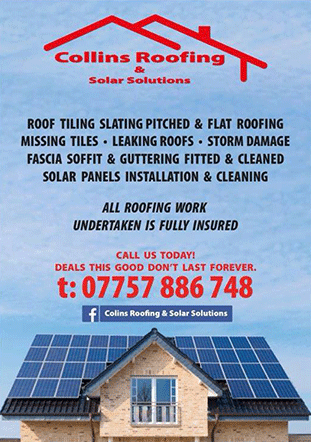 Collins Roofing & Solar Solutions ensure you we will get the job done correctly the first time. 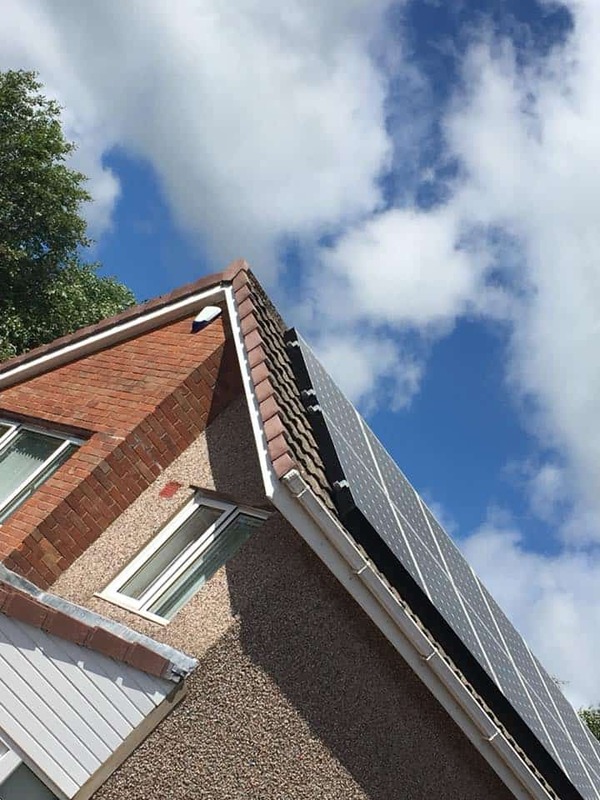 For every solar panel bird proofing job that we complete within a 20-mile radius of Glasgow, we will happily clean your roof’s gutters free of charge. Please complete the following short contact form to take advantage of this offer for more information on the offer click here. 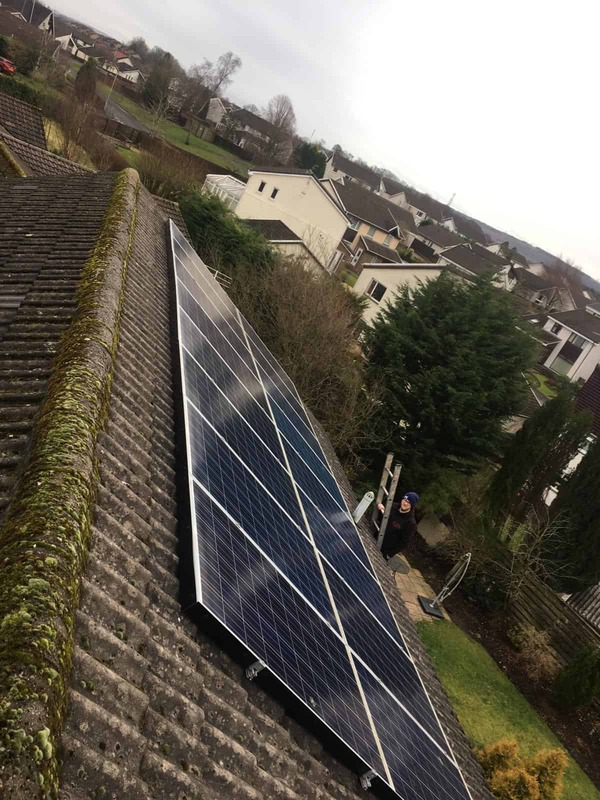 This was a solar panel repair job in Glasgow where we repaired and replaced some damaged and faulty broken solar panels. We also removed a birds nest and bird proofed the panels to prevent any future nesting taking place. We only ever use custom made solar edge protection corrugated steel bird proofing, the plastic alternative doesn’t last and you will soon find pieces of it in your garden! 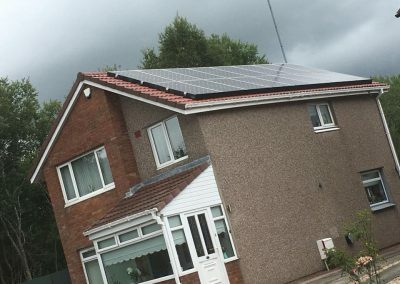 Often when customers contact us to report that their solar panels are not working properly the root of the problem is not the solar panels but the solar PV inverter. Most of the faults with solar PV inverters tend to be related to the electrics either with regards to the wattage output dropping or the main wire and power feed being faulty. Solar inverter breakdown is very common and is easily fixed, Collins Roofing & Solar Solutions has an NICEIC approved electrician as part of our team who will visit your property to diagnose what the issue is. 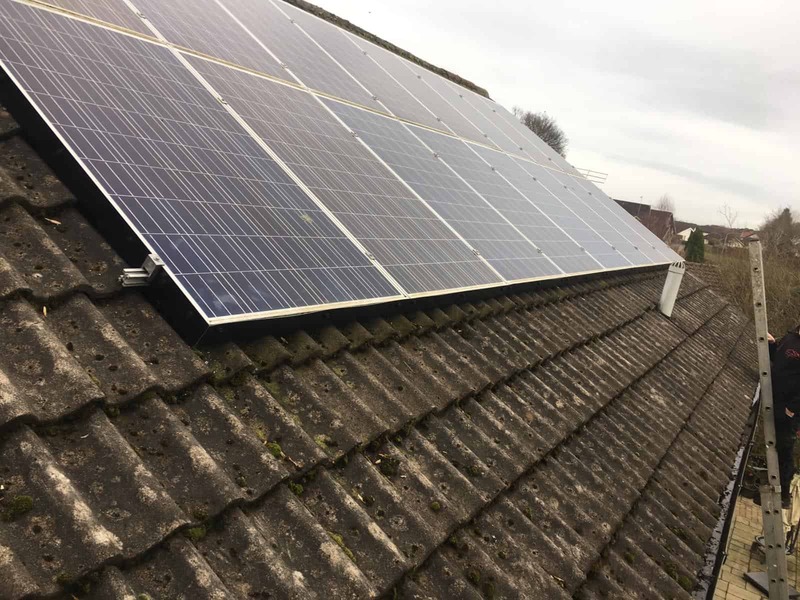 After we isolate the problem we can then quote you for a repair or replacement of your solar panel inverter and have your solar panels back to full working in order in a short period of time. 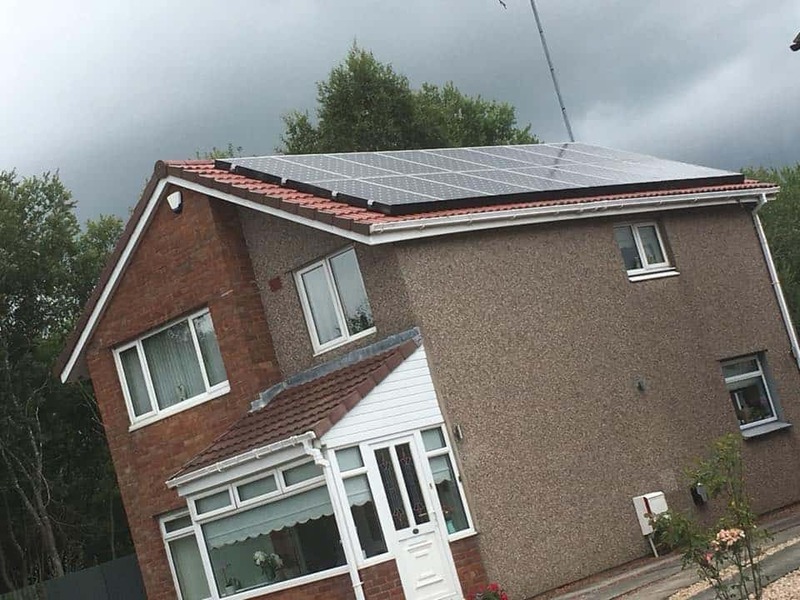 The roof and solar installation contract pictured below was completed for a local homeowner in Lenzie, East Dunbartonshire. 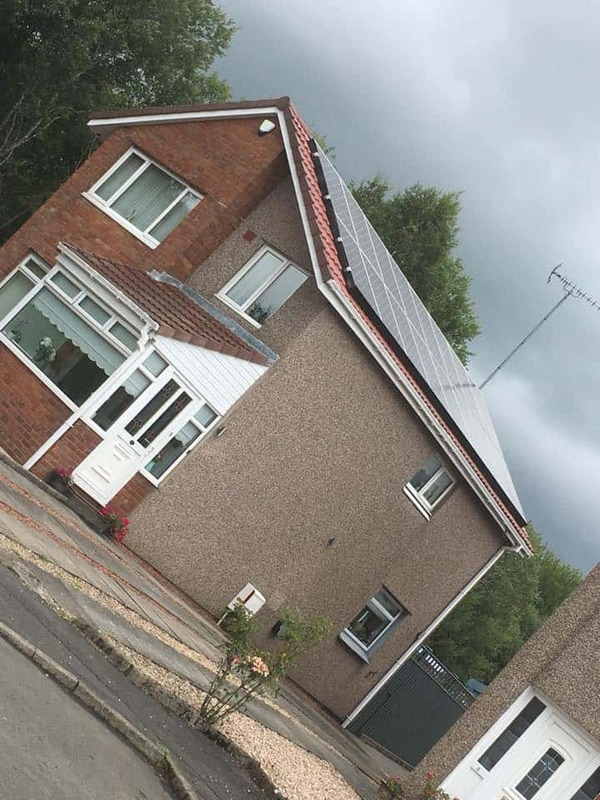 We managed to take camera shots from a few different angles on this one, hopefully, you can see the standard of our work and if you are looking for a roofing contractor in Lenzie, North Glasgow then you will consider Collins Roofing & Solar Solutions. On this job, we stripped back sheeted breathable battens that are tiled with new verges and a dry ridge system. 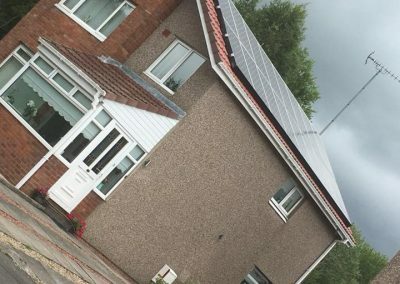 Like large roofing contracts just like this one in North Glasgow, we refitted and bird proofed this roof and its solar panels. 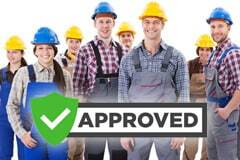 This particular job was returning customer who is amongst the large list of satisfied customers who have rated Collins Roofing & Solar Solutions 5 out of 5 stats on the likes of Facebook, Google and Yell.